We learn that parents are human when they demonstrate as much in odd situations. 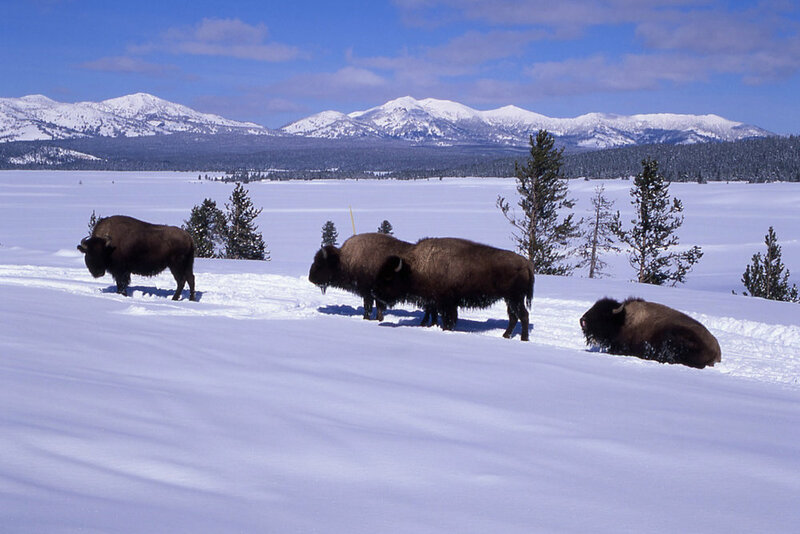 Elizabeth Wrenn found that while cross-country skiing in deep snow in Yellowstone. While the park might be known for its bears and more recently its wolves, there are a fair amount of buffalo in the park, too. Elizabeth would know. She received a good view. We thank her for sharing her story in March 2017, when the Story Night theme was "Getting to Know You." The music for this episode comes from Fleet Foxes, their song White Winter Hynmal.